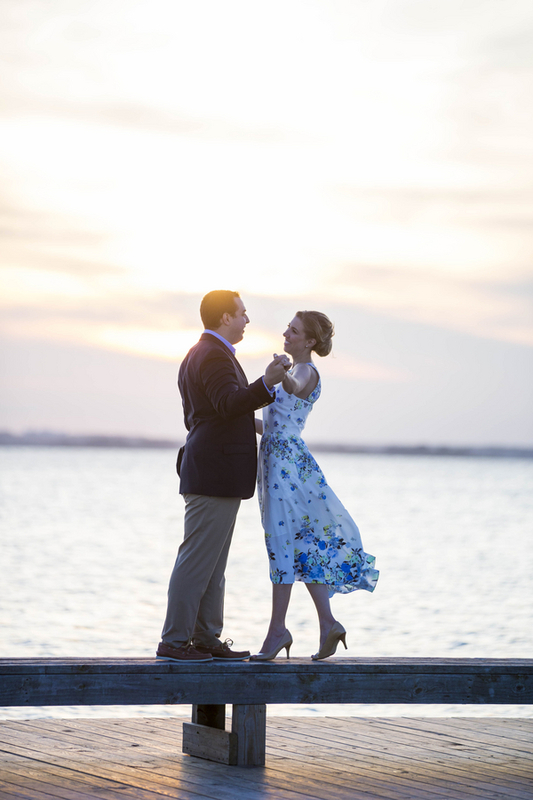 Take a look at Megan & Michael's beautiful New Jersey engagement shoot. Megan Junice and Michael Gennaro met online, started emailing and talking on the phone, and soon met each other for dinner. "We were both each other's first 'online date'!" shares the bride-to-be. "As soon as Michael walked into the restaurant to greet me, I knew that he was The One." A few years later, Michael proposed on Valentine's Day. The couple is currently planning an August 2016 wedding in the same New Jersey city where they had their first date. 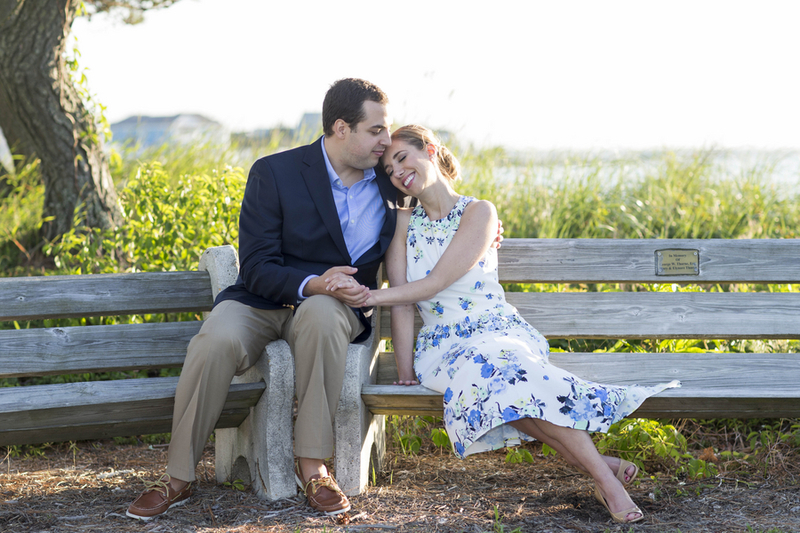 In an effort to personalize their engagement session, Megan and Michael chose the location of Lavallette, New Jersey, since the bride's family owns a beach house in the coastal city and thus she has had many beautiful memories at the seaside destination. 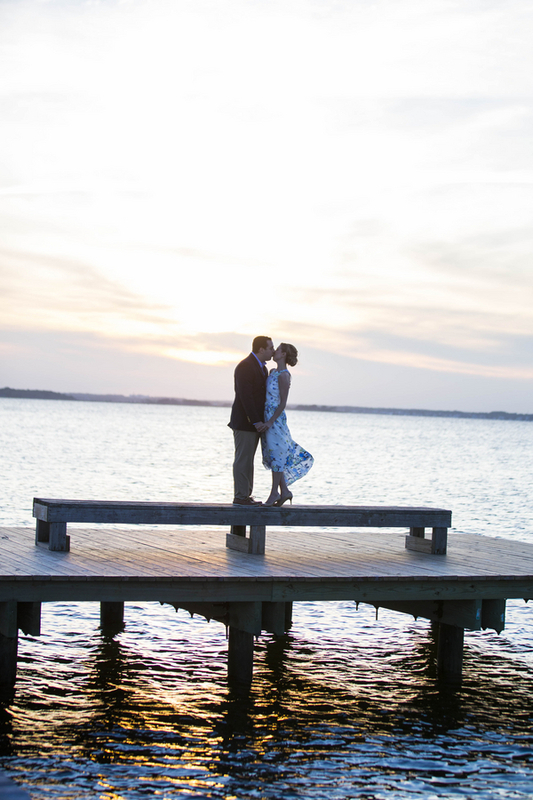 "Following Berit's advice, we were able to capture playful daylight scenes on the beach and romantic sunset moments on the bay to capture our experiences down the shore," shares Megan. The couple even incorporated an old bicycle, that Megan's father had worked hard to restore, in a few of the boardwalk shots. As the shoot was wrapping up on the bay, the couple was surprised by two white swans that swam over to greet them. Remembers Megan, "It was a perfect ending to a most memorable day!" 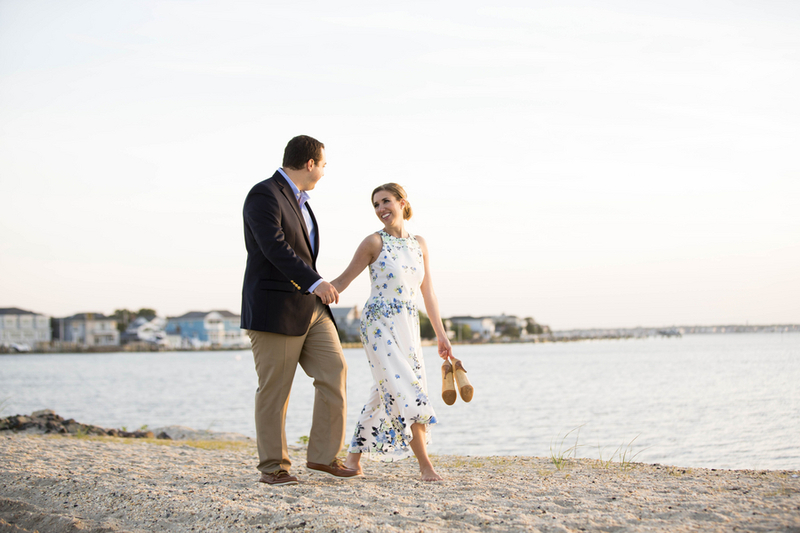 See some of our favorite images from the couple's charming East Coast engagement session, complete with romantic boardwalk, beach, and bay shots, captured by Images by Berit, Inc.! Travel to the West Coast to see Tone It Up trainer and co-founder Katrina Hodgson and Brian Scott's Malibu engagement shoot, and see Heidi and Sterling's romantic sunset e-session at Joshua Tree National Park. 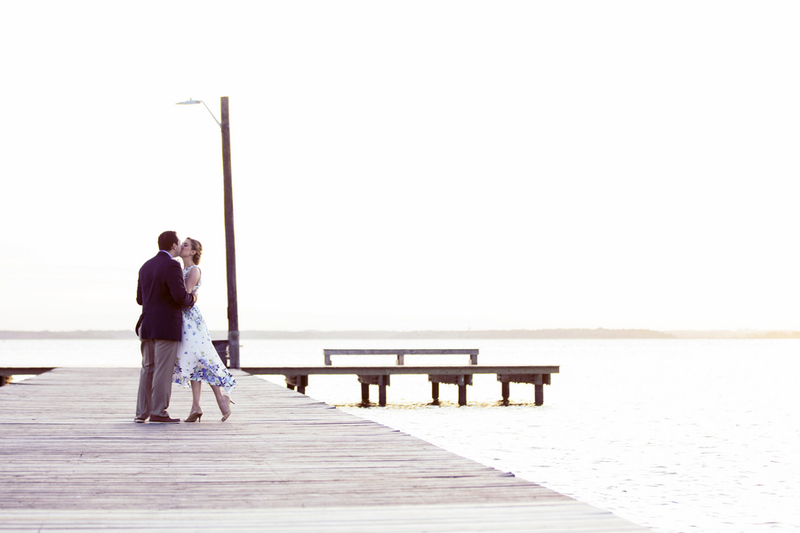 Planning your own engagement shoot? Learn what you need to know before your engagement photos are taken and more on our Expert Advice pages.